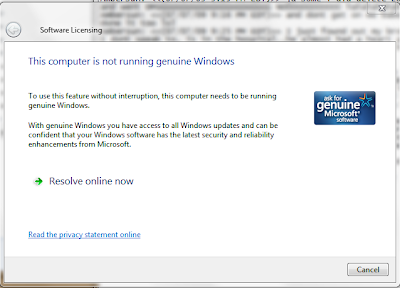 Microsoft has released an update against Non-Genuine Windows 7 to trace their copies of Windows. For those users who have genuinely activate their windows won't be effect through this update but for those peoples who are using the pirate copy or non-genuine copy of windows 7 may be faced some serious issues on their windows. The new update will be delivered via Windows Update, with title of “Update for Microsoft Windows (KB971033)”; Users can also download this update manually from Microsoft Download Center. This update of Windows will detect more than 70+ known and potentially dangerous activation cracks and non-genuine copies. If any non validation or exploits found, the desktop wallpaper will be switched to a plain desktop (all of the customer’s desktop icons, gadgets, or pinned applications stay in place). Periodic reminders and a persistent desktop watermark act as further alerts to the customer. 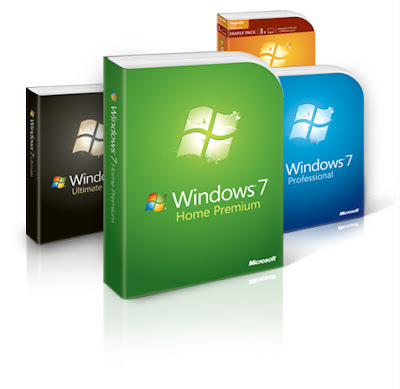 Customer has to re-install their copy of windows 7 or buy the genuine copy of windows for the future used of their windows. You can get rid of this Windows 7 (KB971033) deactivation update and also make your Windows 7 Genuine here.